While aimed to house children with intellectual disabilities, it was often inhabited by children who were orphaned, had physical disabilities, or whose parents were to poor to take care of them. Legislation only permited children aged 3-21, however few patients ever actually left the facility. In 1925 it was renamed the Pownal State School. In 1925 sterilization became permitted at the school as its popularity was spreading the country. 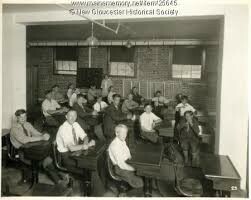 In the 1930s education and life skills training became increasingly included into the daily routine. Reaching its peak in the 1950's it housed over 1,700 residents in over 50 buildings. Pineland farms was a working farm and took in revenue for most of its existing, helping to defray the cost of operation. 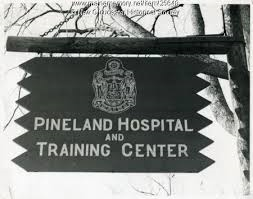 In 1957 it was renamed the Pineland Hospital and Training Center. A psychiatric wing was added to the facility. In 1973 the name was once again changed to just Pineland Center, resident numbers quickly dropped as institutions were falling out of fashion, eventually Pineland Center closed its doors in 1996. In 2000 it was purchased, along with over 3000 more acres to become Pineland farm, a recreational area. 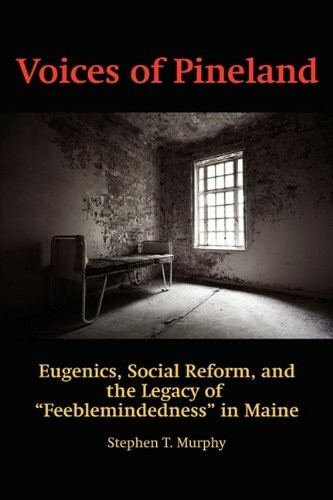 This book gives history on the lives of those with an Intellectual Disability in Maine, written through the lens of the Pineland hospital and Training Center. 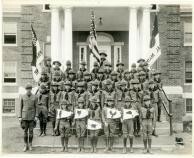 There were some academic programs, as well as vocational and manual training and physical education services for children at Pineland. Some students also worked on the school's two farms and a number of students made or repaired items used in daily operations at the facility. 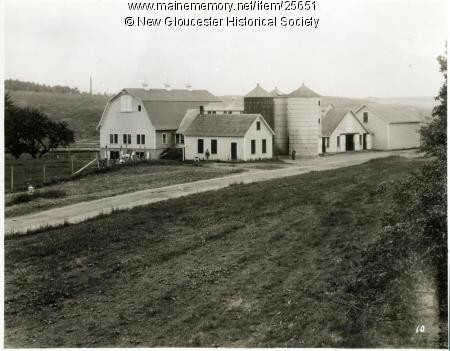 One of two farms located on Pineland in the 1930s. Many students worked on the farms which provided meat, dairy, and produce for the residents of Pineland. Maine removed residents of Malaga Island off Phippsburg from the island in 1912. 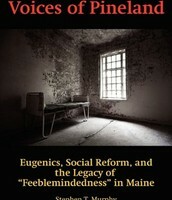 Many of the residents were mixed race and some, when removed from the island, were sent to the Maine School for the Feeble-Minded. All grave sites on Malaga Island were dug up and transferred to the Pineland Hospital and Training Center cemetery.